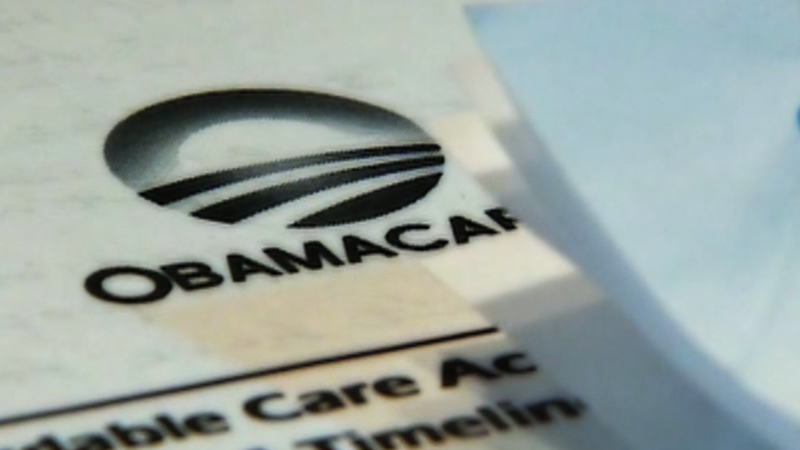 Many workers may opt to work less to retain their eligibility for Medicaid or federal subsidies under Obamacare, a new report has found. 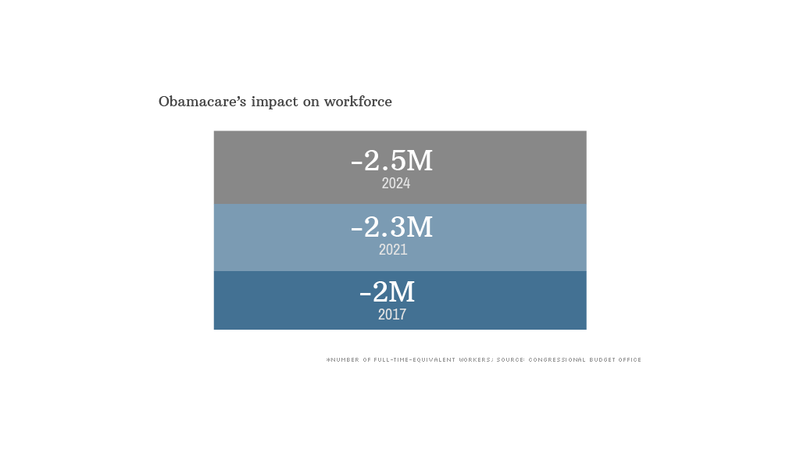 The Affordable Care Act could reduce the labor force by the equivalent of 2.5 million workers in 2024, according to the non-partisan Congressional Budget Office's annual outlook. That doesn't mean employers will start swinging the ax or even that that many jobs will be lost, CBO says. Rather, more people will likely opt to reduce their hours, or leave the workforce entirely, so they stay under the income caps for Medicaid and federal subsidies. "The estimated reduction stems almost entirely from a net decline in the amount of labor that workers choose to supply, rather than from a net drop in businesses' demand for labor," the report says. Therefore, it will more likely show up as a decline in share of the population participating in the labor force and in hours worked, rather than in spikes in unemployment or underemployment. While the CBO projects that the share of Americans in the labor force will decrease in coming years, Obamacare will not be the driving factor. A bigger reason is the aging of the nation. But Obamacare will contribute to this and to the economy falling "slightly short of its potential" between 2018 and 2024, according to the CBO. Share your story: Will you work less if you have Obamacare insurance or Medicaid? The CBO doesn't let higher-wage workers or employers completely off the hook. Those whose earnings are more than $200,000 (or $250,000 for couples) will be subject to a 0.9 percentage point payroll tax, which could also prompt some to work less. And, the report says the penalty employers face for not providing insurance, which ranges up to $3,000, will lower employment initially. Some businesses may decide to reduce their workforce to fewer than 50 full-timers or shift to more part-time workers so they don't have to provide health insurance for their staff. The White House played up this aspect of the report, highlighting the CBO's finding that there is "no compelling evidence that part-time employment has increased as a result of the ACA." The Obama administration also pointed to the CBO finding that Americans' new ability to get health insurance not tied to their jobs will give them more freedom and flexibility. "CBO finds that because of this law, individuals will be empowered to make choices about their own lives and livelihoods, like retiring on time rather than working into their elderly years or choosing to spend more time with their families," said the statement.